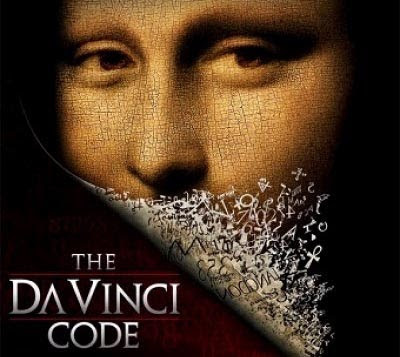 The controversial Best-Seller “The Da Vinci Code”, written by Dan Brown has befuddled many people, including some scholars. However, the truth about its interpretation and mainly its source is even unknown to Dan Brown himself, who doesn’t even know what really happened with him when he wrote it. Interlocutor: I’ll move on to the book called “The Da Vinci Code”, I have given this book as disposable without consulting with you. Is this book so senseless? Ruanel: The author channeled to entities of Light who gave him certain keys. Interlocutor: Are you validating the book? Ruanel : No, absolutely not, I only say that it is not 100% senseless, but rather it has 10%, or maybe something more of sense. The same percentage of fidelity the channelers that we talked about have. Interlocutor: But with 10% of truth mixed with 90% of falsehoods, it transforms it in a dangerous book! Ruanel : In general the book is noxious because, as we always say, if somebody sells you a freezer that keeps the food, but it has a radioactive engine that contaminates the food and provoke cancer, obviously the freezer is not good at all. Interlocutor: Is this the case of this book? Interlocutor: Another person asks me regarding to the book “The Da Vinci Code”, where the author (Dan Brown) speaks that there is one extra hand in Leonardo's painting “The last Supper”. The truth is that I was watching the painting and I didn't see it. Ruanel: You didn’t see it because there is none. Interlocutor: What did it happen then? Ruanel: He simply interpreted erroneously the painting. Int erlocutor: Is that all? Ruanel: Correct. What else could it be? There are even two more paintings on the Last Supper and in none of them there is an extra hand. Interlocutor: Was this a cunning trick of the author of the Da Vinci Code? Ruanel: He saw what he wanted to see. Notice the copies he has sold inventing things that don't exist. Interlocutor: End of the topic, Master. Master Jesus: I can visualize to that spiritual being who in the physical plane was called Leonardo Da Vinci who painted that painting so wonderful called "The Last Supper", and I assure you that the person he painted at my side was my dear disciple, John Zebedee, and not a woman. This entry was posted at Monday, September 14, 2009 and is filed under Secrets . You can follow any responses to this entry through the .